The MDF® Acoustica™ Stethoscope is a lightweight diagnostic instrument that delivers accurate auscultation of heart, lung, and Korotkoff sounds with acoustic integrity and clarity. An ergonomic design ensures comfort for the doctor and patient, even during extended use. 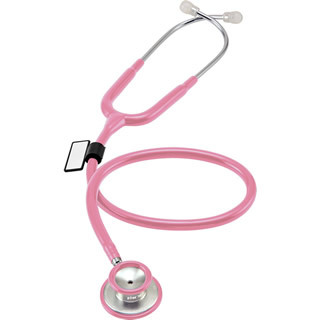 Precisely handcrafted from premium aluminum, the Acoustica™ Stethoscope is the ultimate in auditory diagnostics with unmatched performance and durability.